Tom Brady is 19 of 26 for 172 yards and two TDs in his first action since last year's Super Bowl loss to Philadelphia. FOXBOROUGH, Mass. 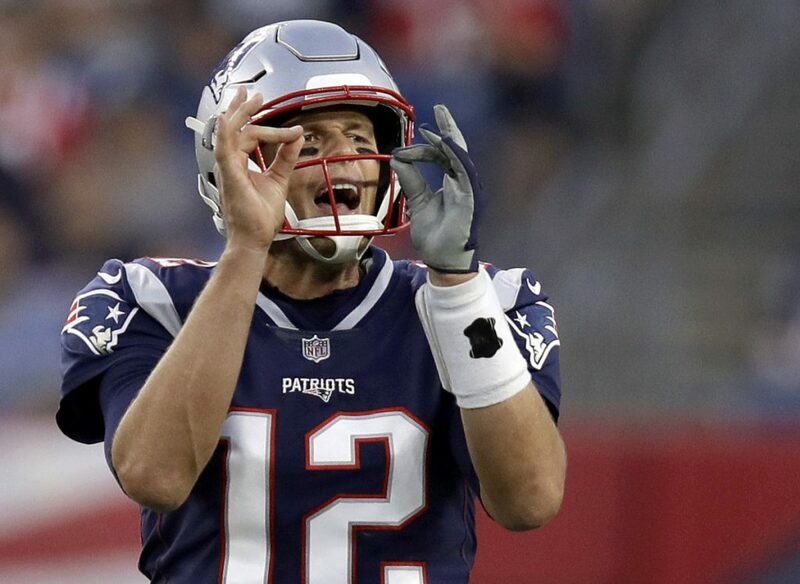 — Tom Brady moved the New England Patriots with ease in their Super Bowl rematch against the penalty-prone Eagles, with a little help from running back James White and fifth-round draft choice Ja’Whaun Bentley. White caught six passes for 61 yards, including a 20-yard touchdown, and also ran for 31 yards in the first half of the Patriots’ 37-20 victory. The Eagles had five penalties for 50 yards in the first quarter – including two for lowering the head to initiate contact and one for hitting a defenseless receiver – and 97 penalty yards in all. NOTES: First-round draft choice Isaiah Wynn was taken off the field on a cart, and it was revaled Friday that the No. 23 overall pick will miss the entire season with an Achilles tendon injury. LaAdrian Waddle started at right tackle for the Patriots, but Wynn replaced him in the second series. … New England’s other first-round pick, No. 31 overall selection running back Sony Michel, has not played because of a procedure on his knee.